We suddenly had a really warm, beautiful weekend and this oversized top + cutoffs seemed to be perfect for a casual Saturday! Beautiful outfit. That sweater is so pretty. That sweater has just the perfect amount of distress! 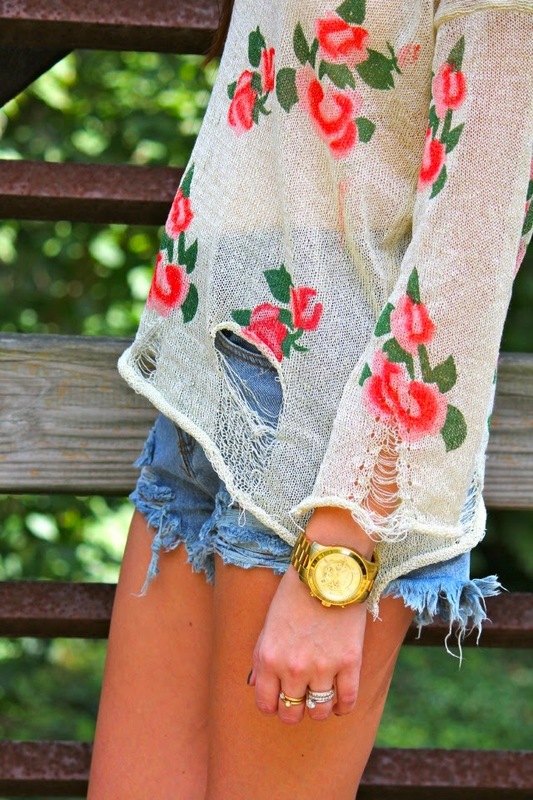 Such a great outfit for a kinda warm day! I love your hair-- I wish my hair looked like this! We had a really warm weekend too... but I am ready for fall! Love the top! Very cute! Perfect outfit! We're still having weather for wearing something like that here. And I'm pretty sure I need booties like those. That sweater is so cute!! Loving this feminine look, so pretty!! What a cute look! This is similar to what I am wearing in San Diego as we transition to our version of Fall/Winter. ADORE this entire outfit. Your perfection! I am loving me some shredded sweater right now! I styled one recently on my blog. Yours is super cute! One of my favorite looks! Effortlessly chic. 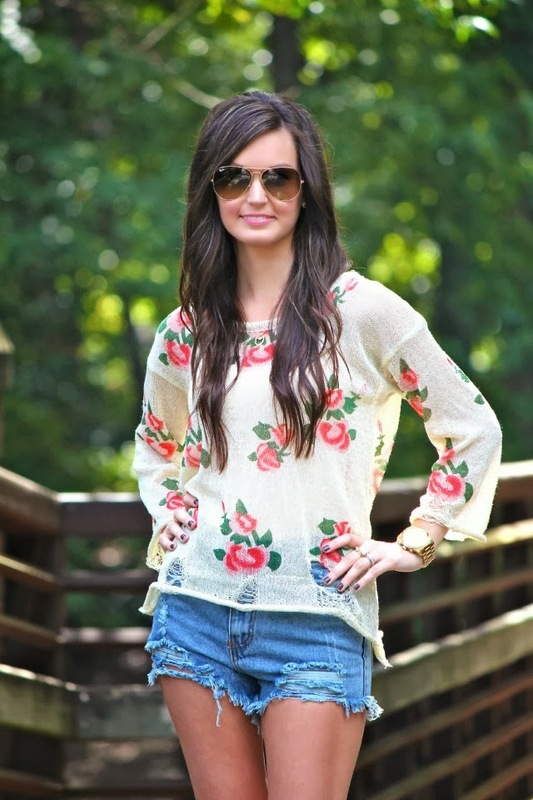 So cute, I've been dying for a floral top, I'll have to check this one out!